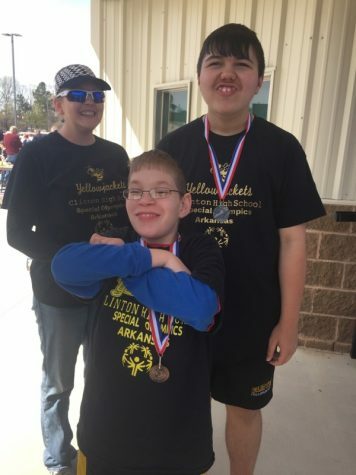 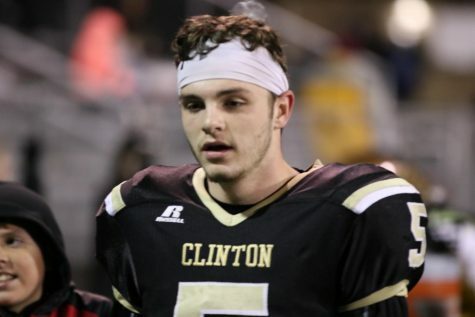 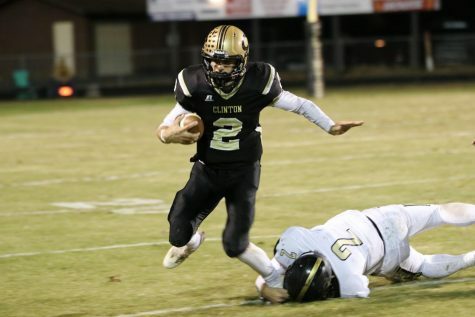 CLINTON, Ar– Hootens picked ONE seed Clinton by 3 points over the 5 seed Charleston Tigers, and Clinton has never felt more disrespected. 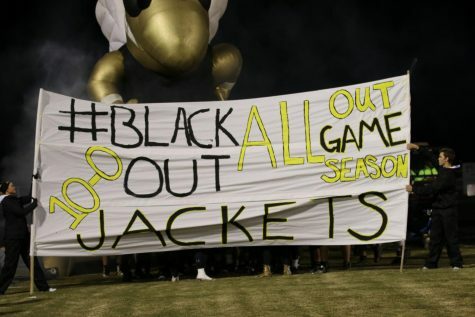 The whole state said the Jackets were overrated saying they played in a “weak conference” and had “terrible defense”. 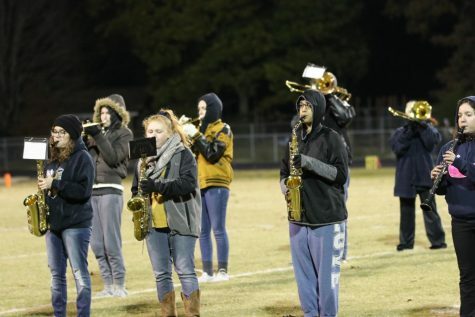 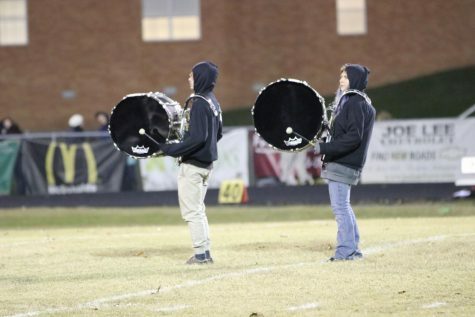 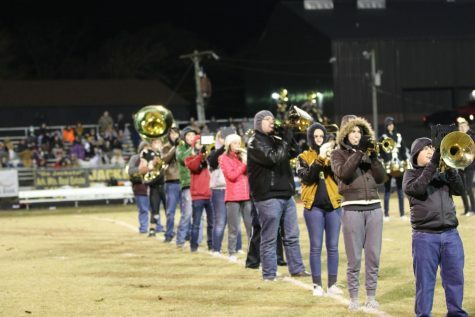 This was all the Jackets heard all week. 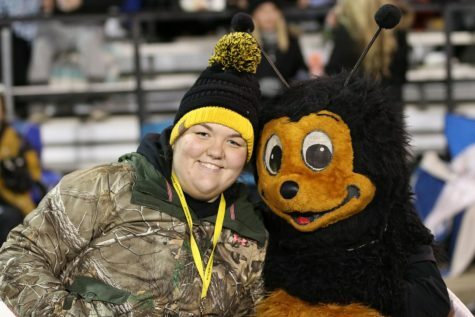 Boy was the state wrong. 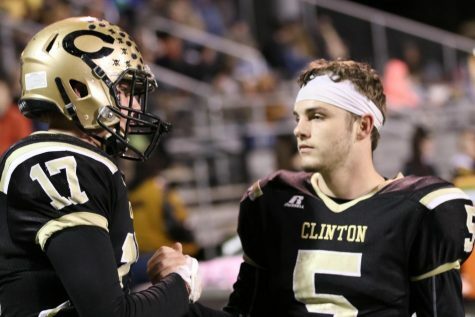 Clinton came out with fire in their eyes and made the state put some respect by their name when they beat Charleston 49-0. 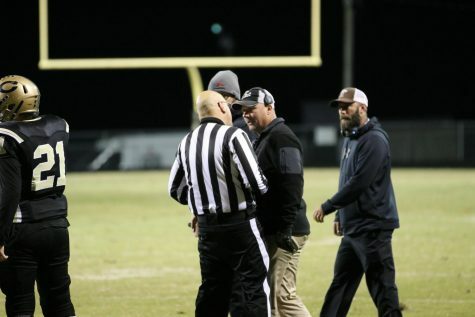 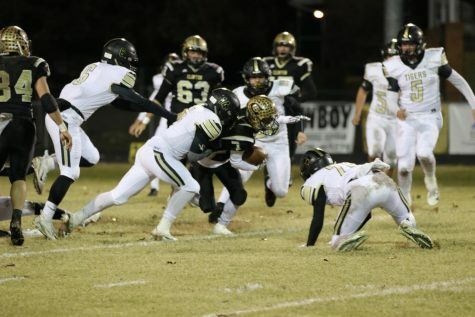 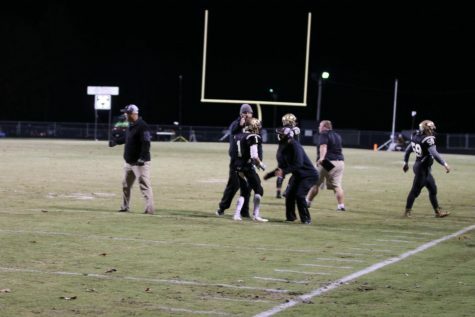 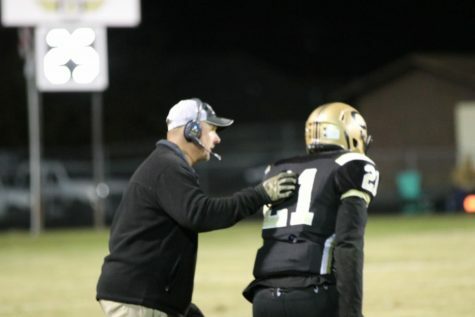 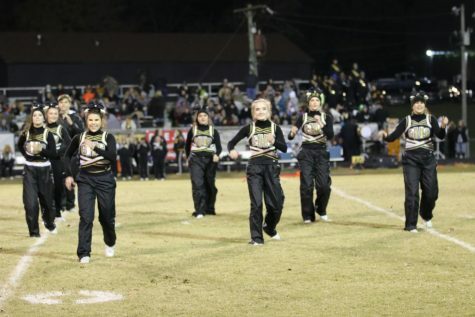 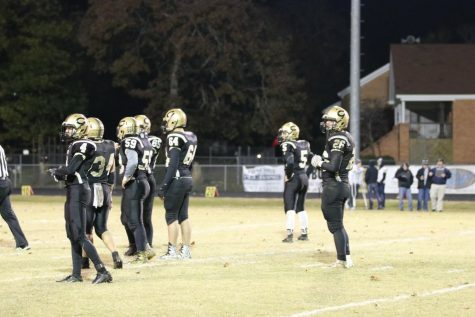 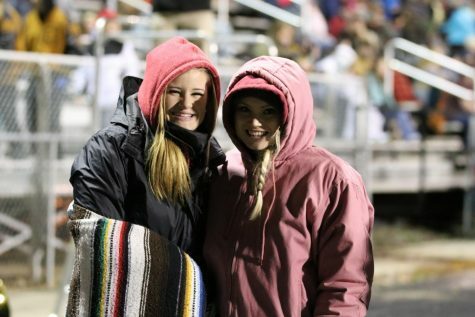 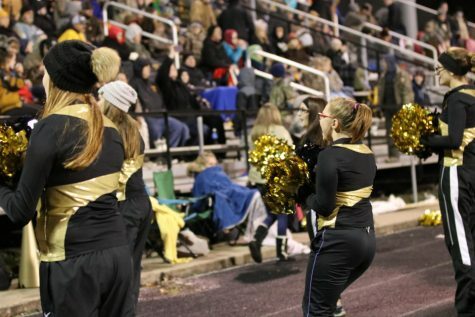 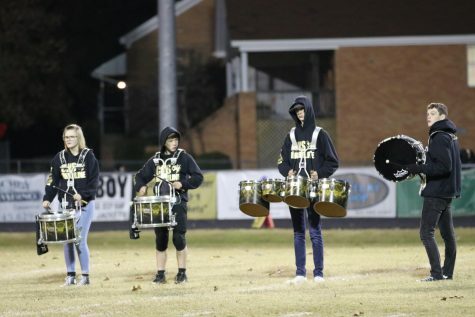 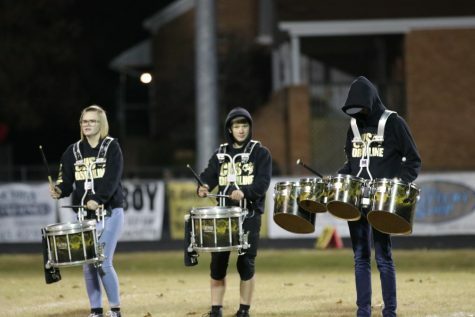 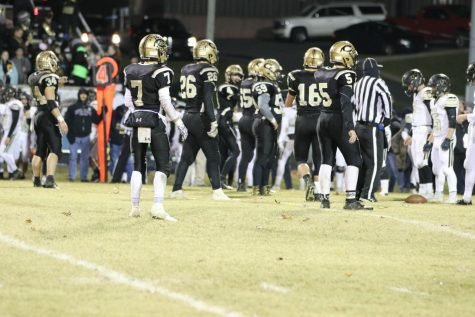 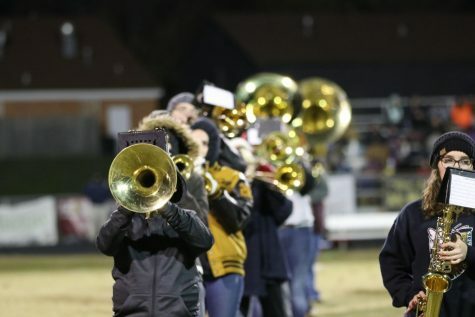 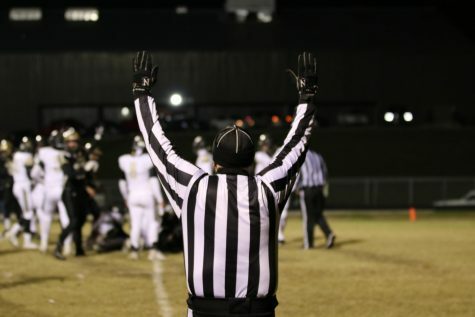 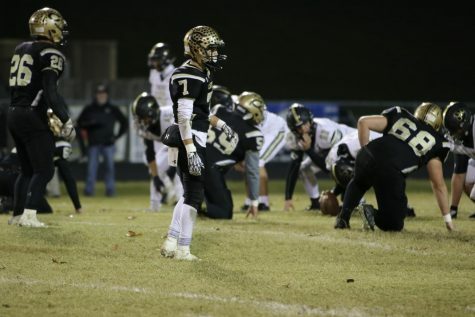 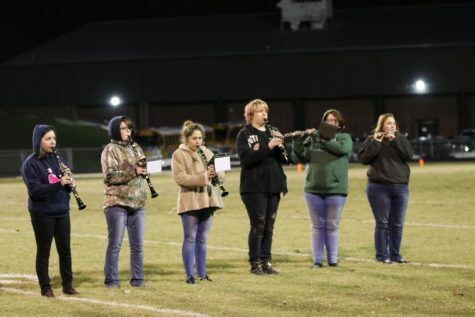 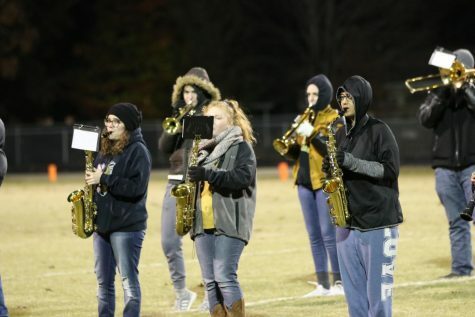 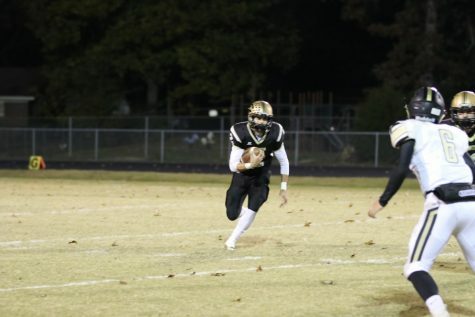 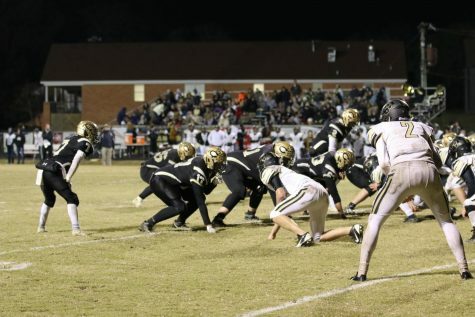 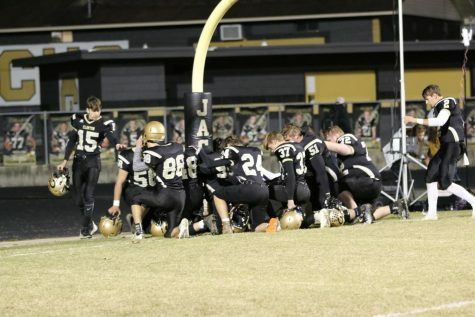 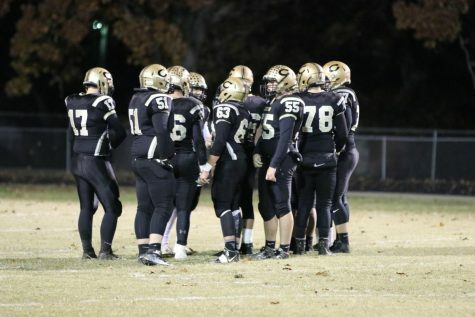 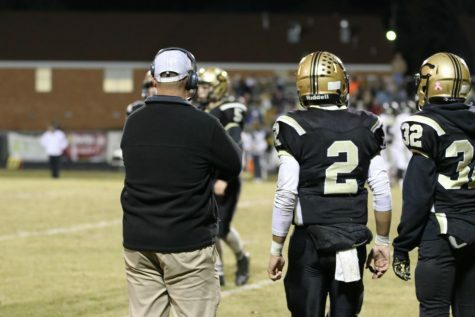 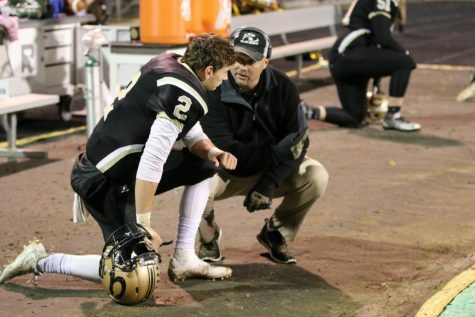 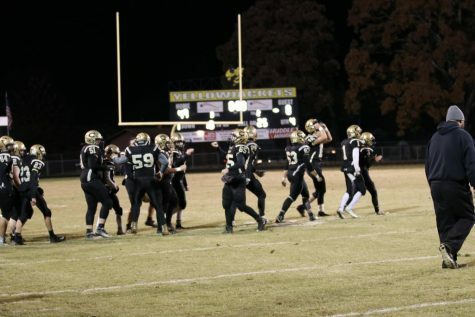 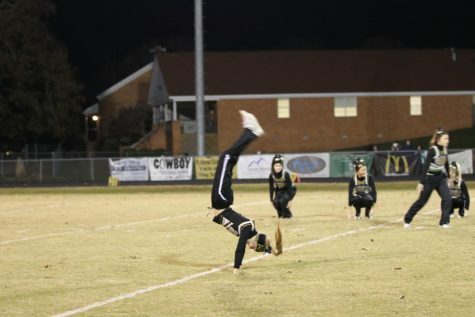 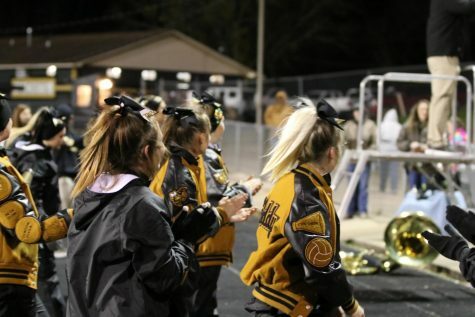 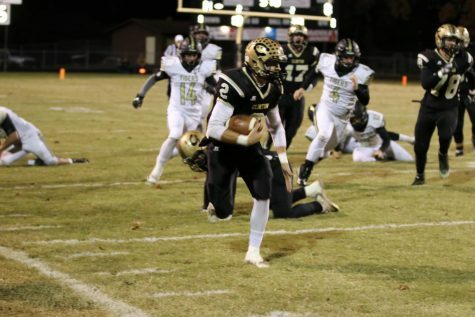 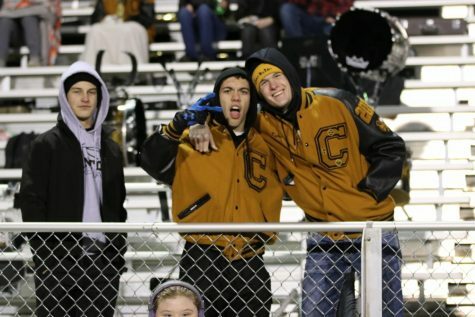 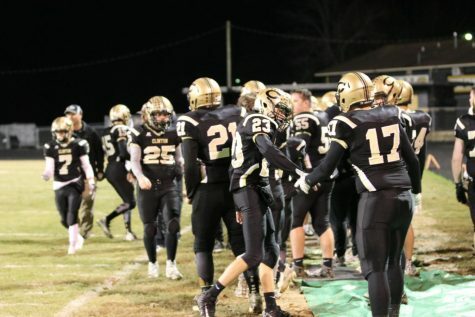 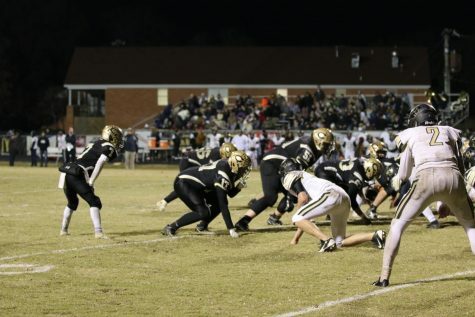 Charleston who was hasn’t lost in the first round of the playoffs since 2006, got completely dismantled Friday night. 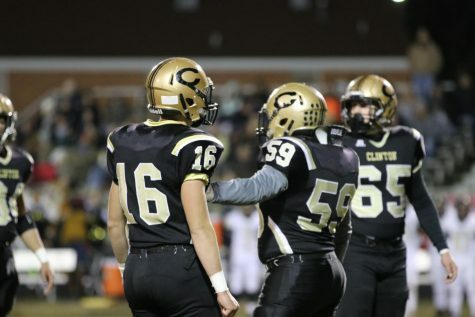 The Jackets shut Charleston out and accumulated 523 total yards of offense to Charleston’s 158. 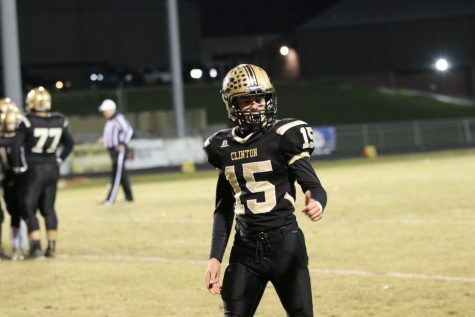 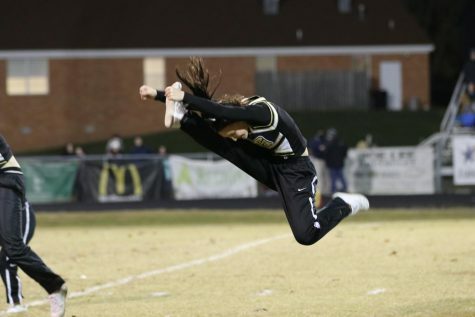 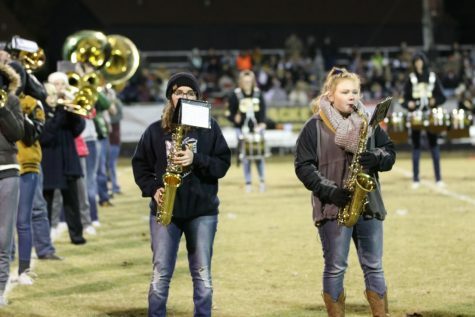 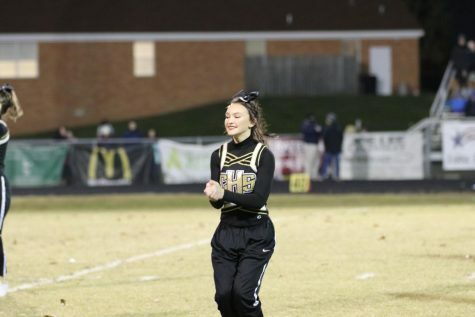 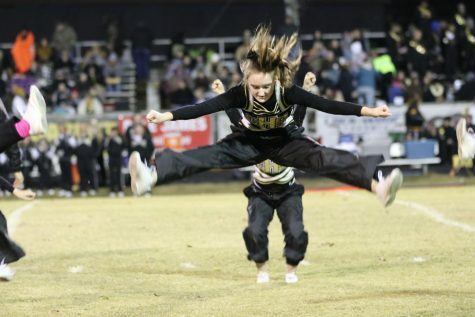 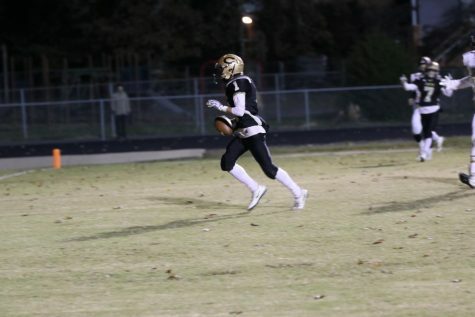 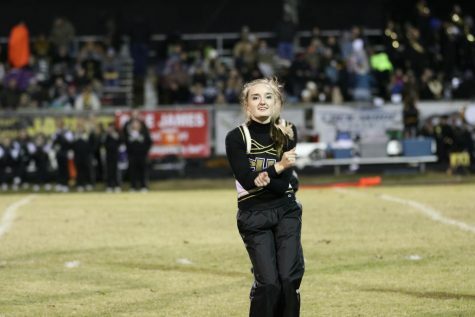 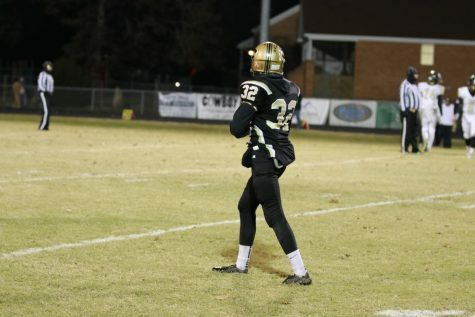 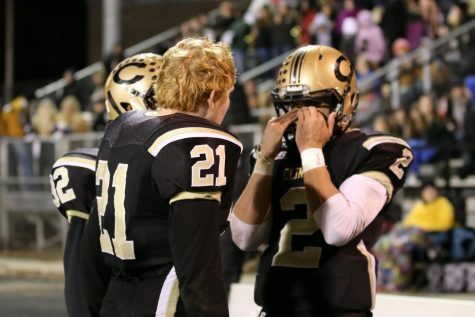 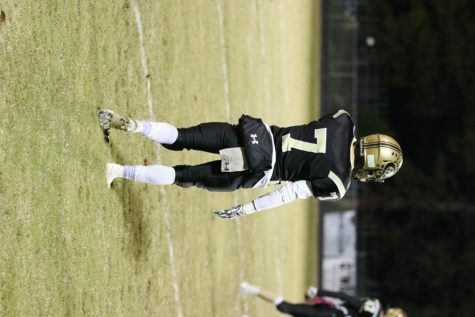 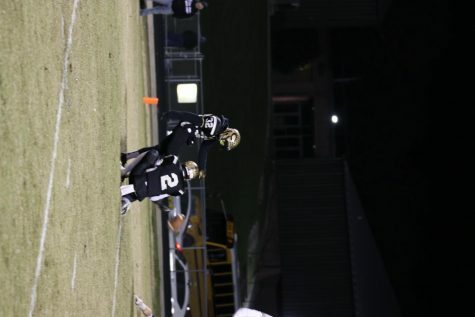 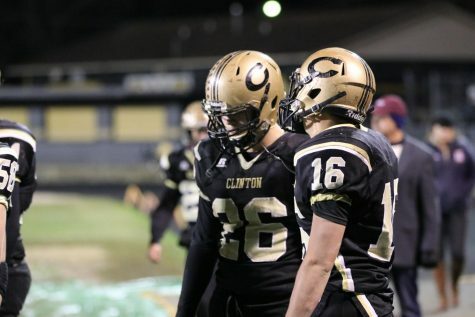 Clinton forced 2 turnovers, both interceptions by Senior Sky Davidson, while Charleston forced none. 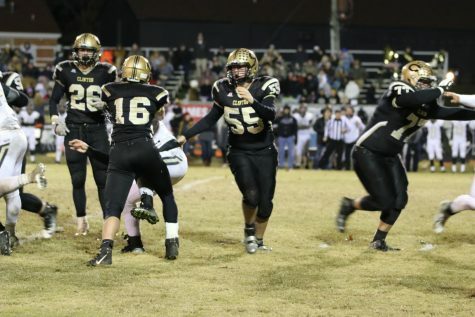 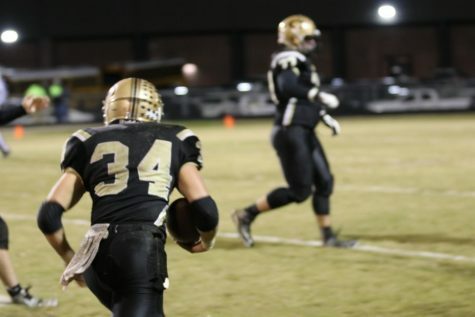 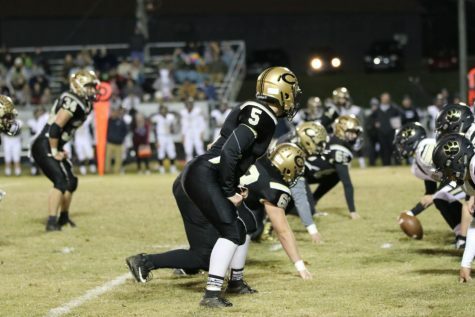 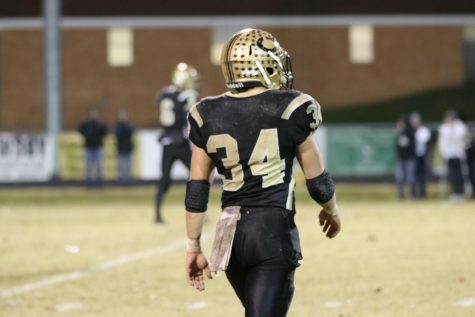 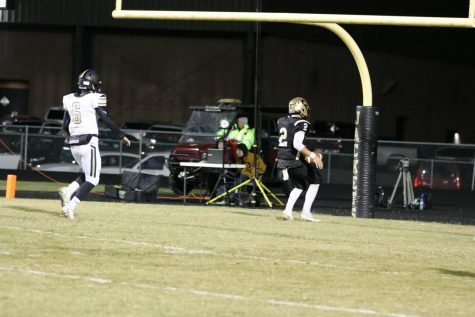 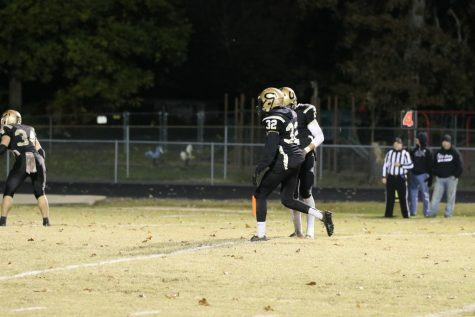 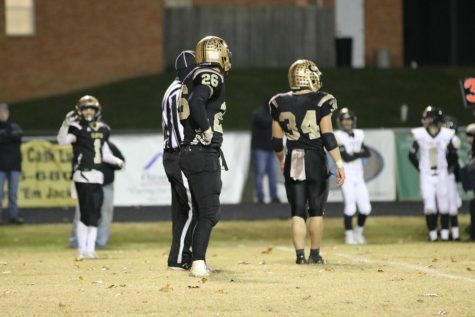 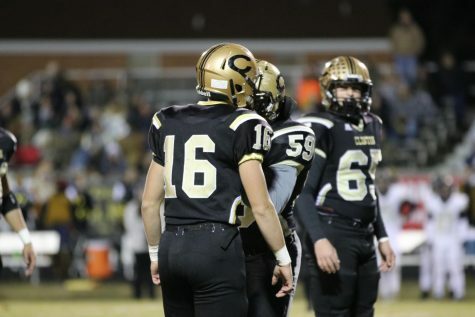 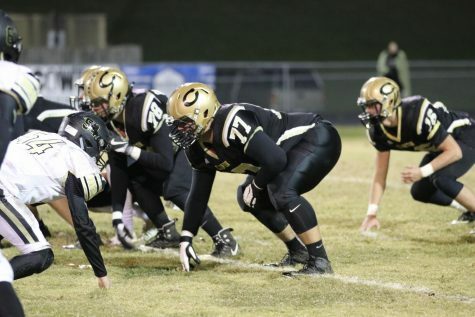 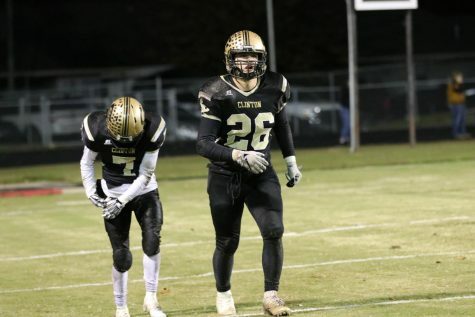 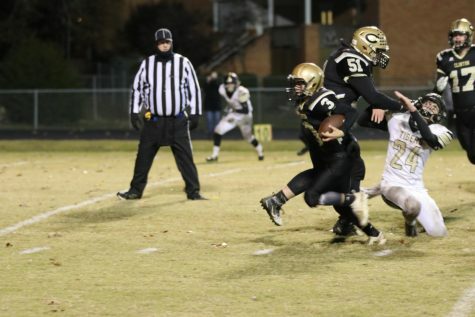 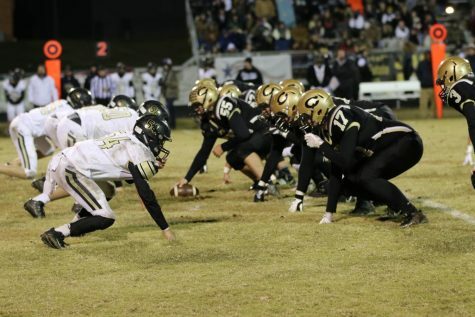 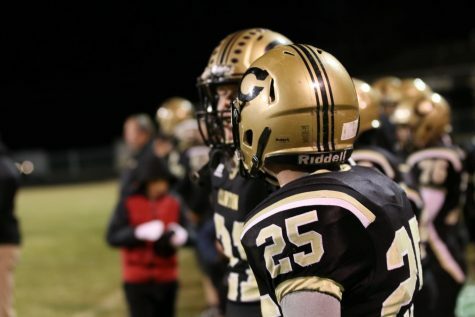 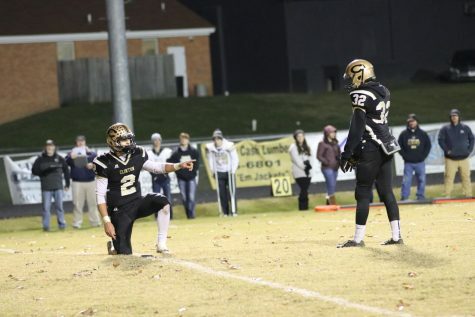 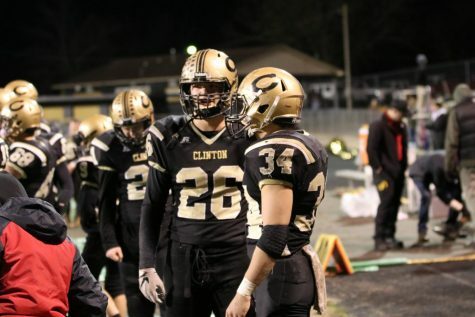 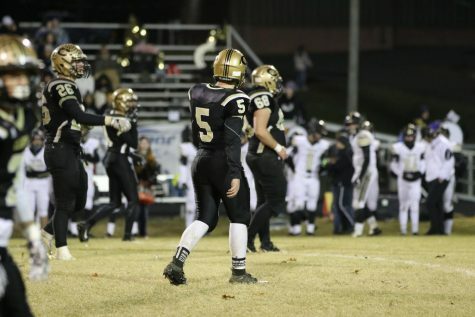 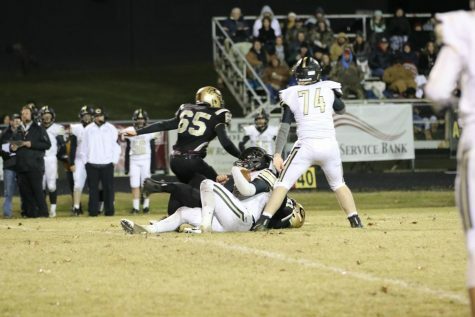 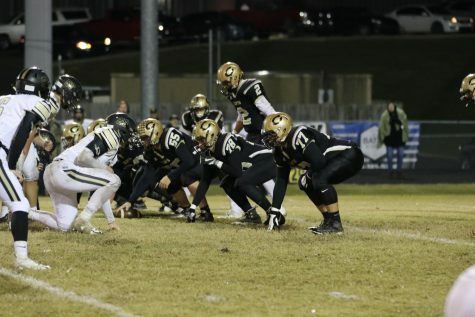 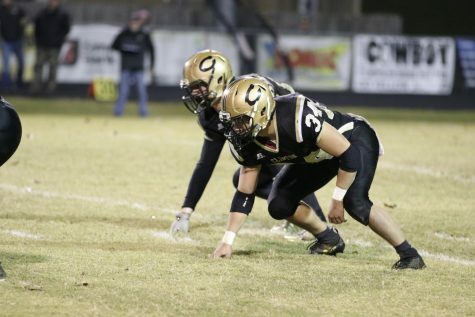 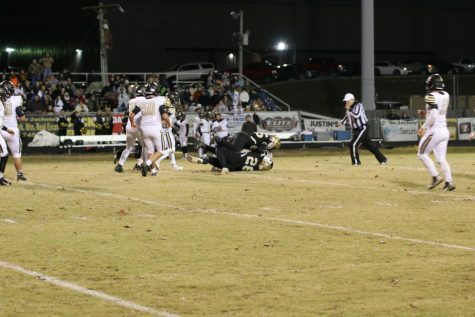 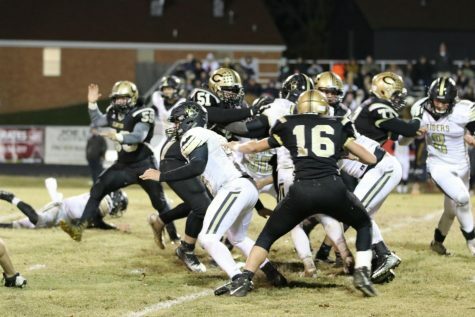 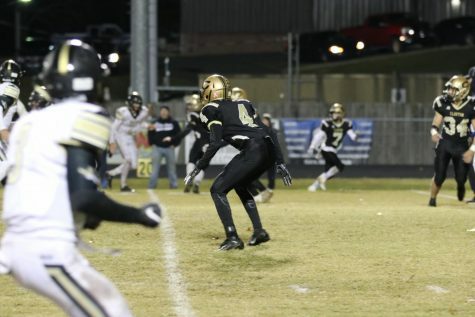 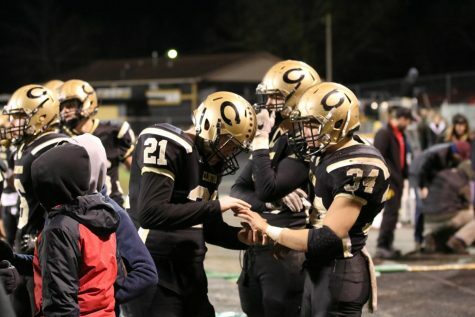 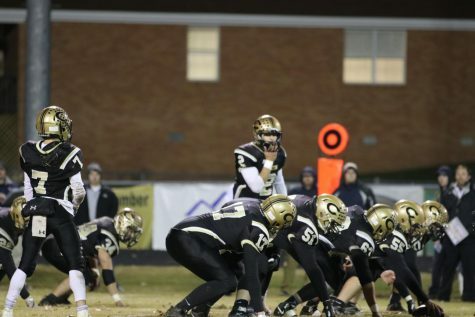 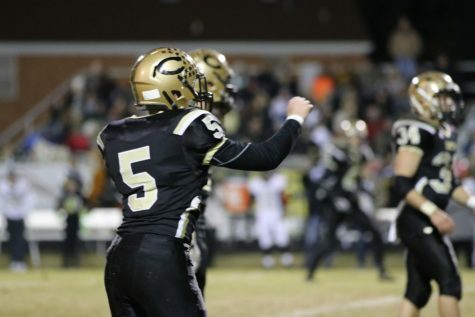 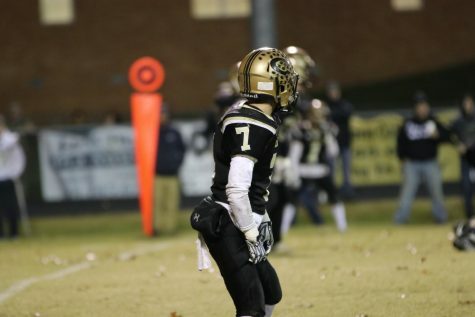 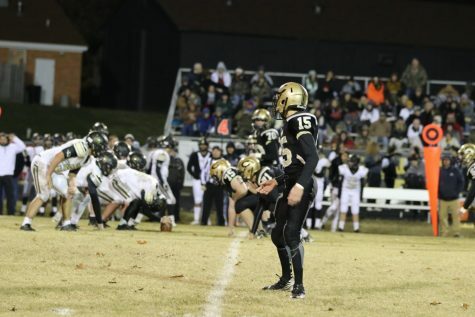 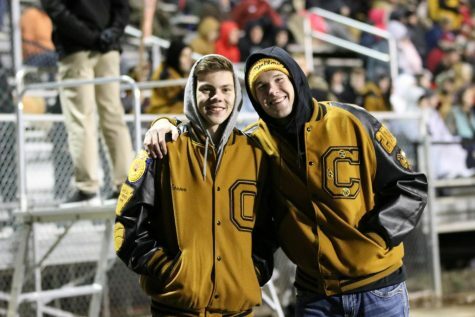 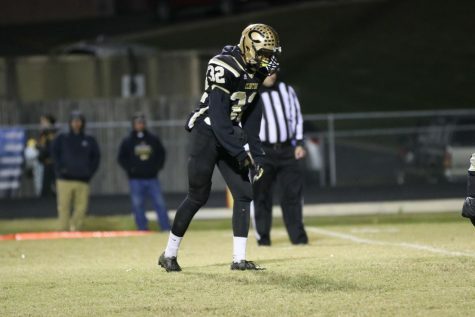 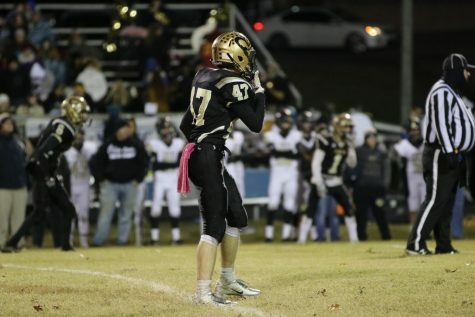 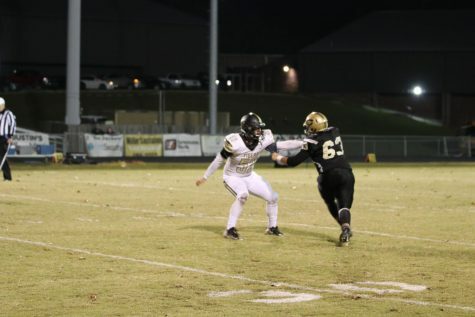 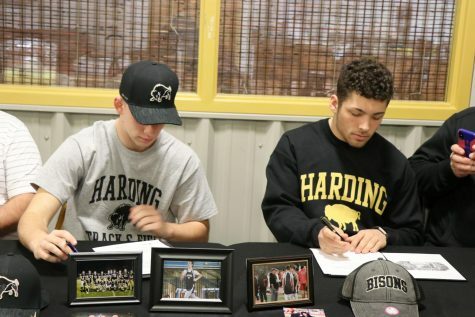 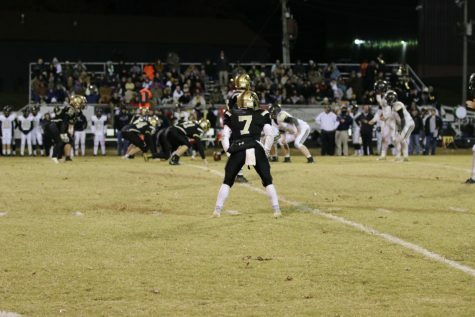 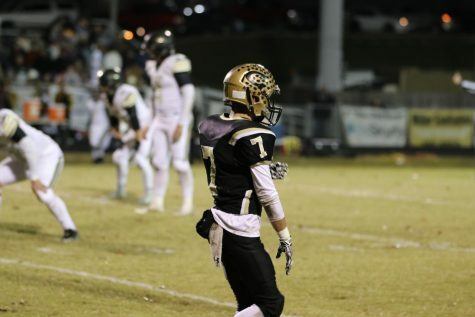 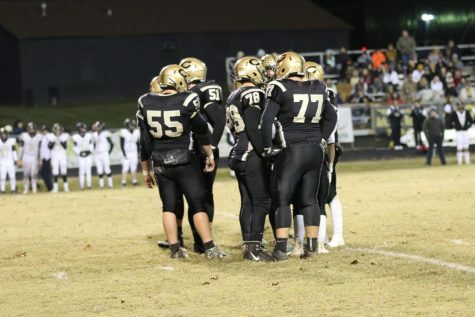 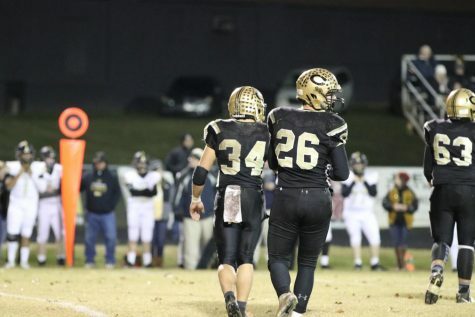 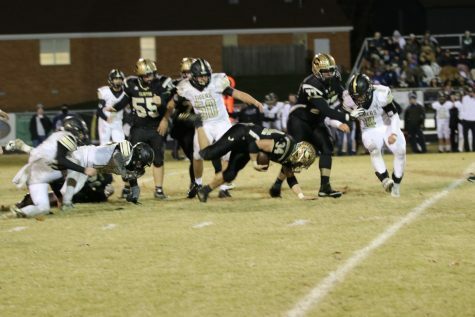 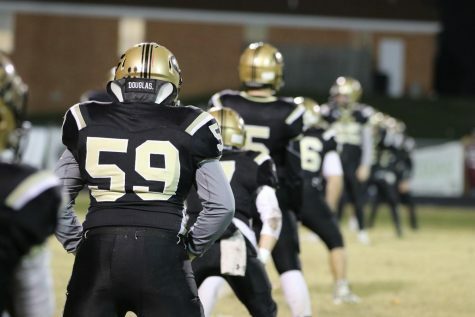 Seniors Caleb Bowman and Mason Dowell led the Jackets in tackles Friday night with 6. 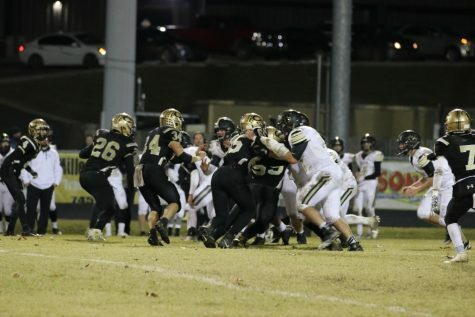 While Cort Bagley (1), Tye Pruitt (1), and Bowman (2) all had at least one sack on the night. 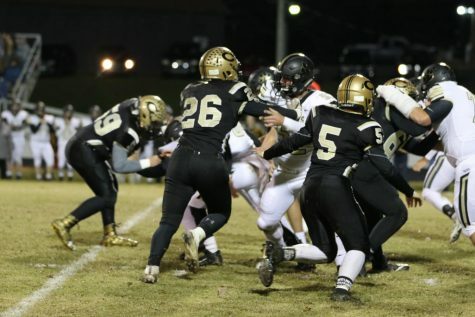 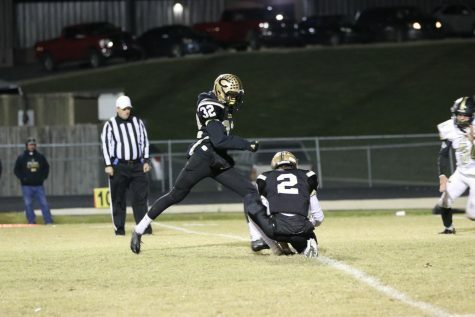 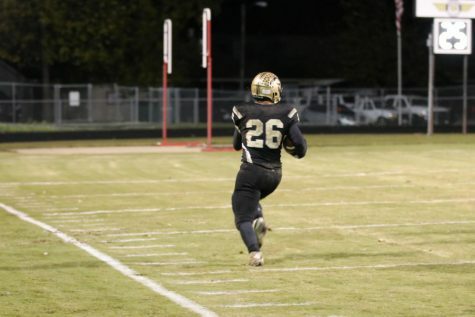 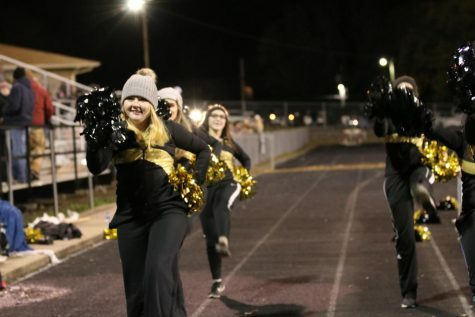 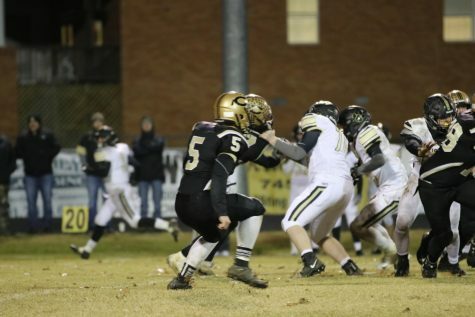 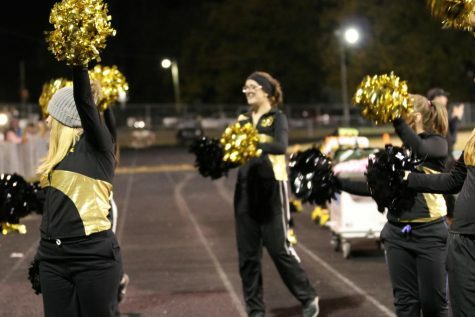 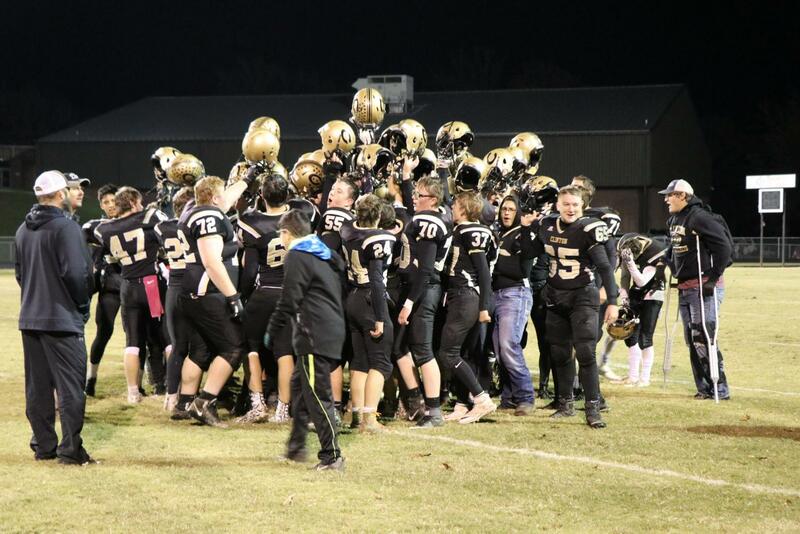 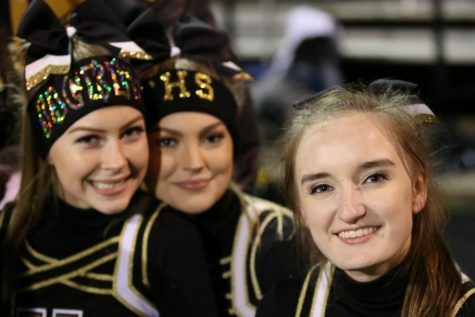 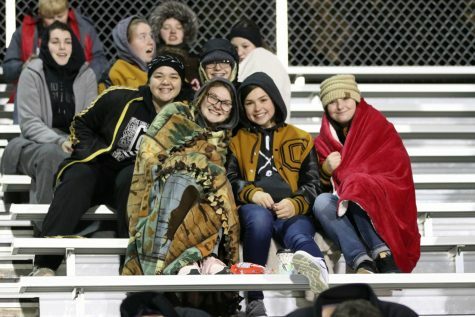 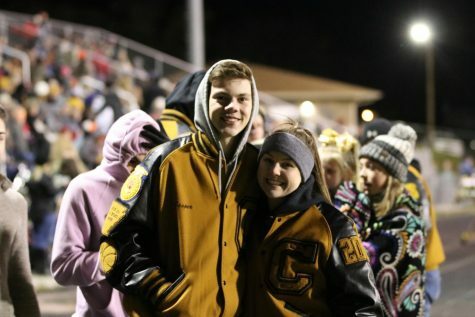 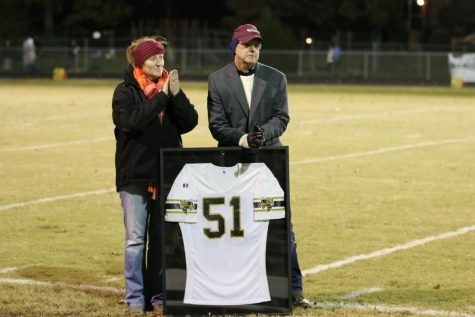 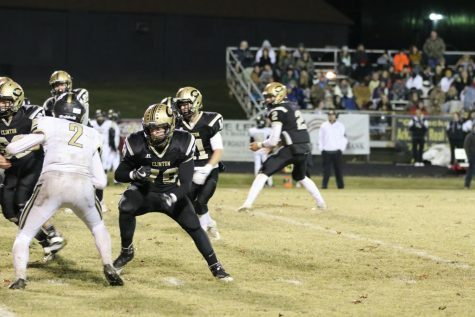 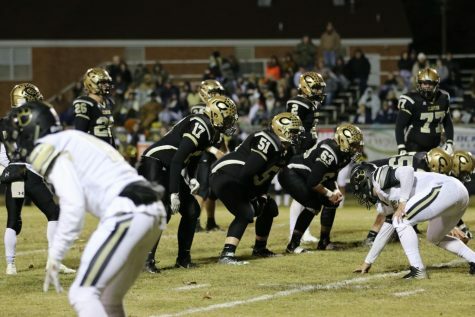 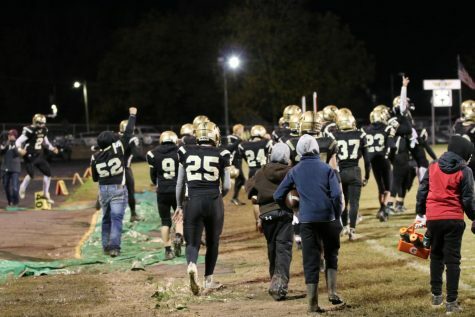 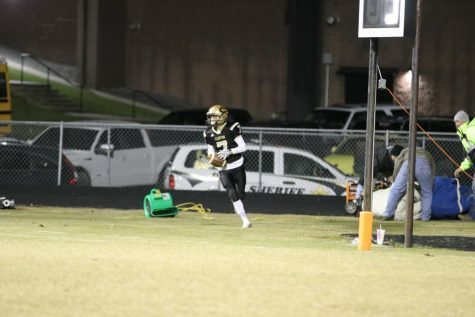 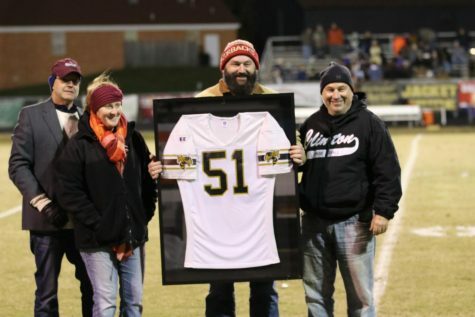 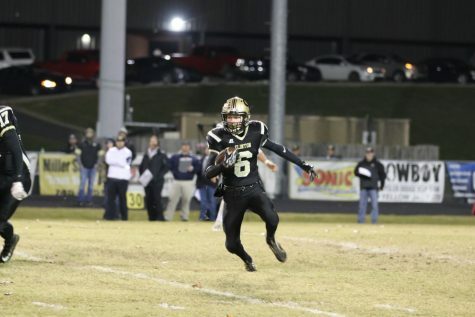 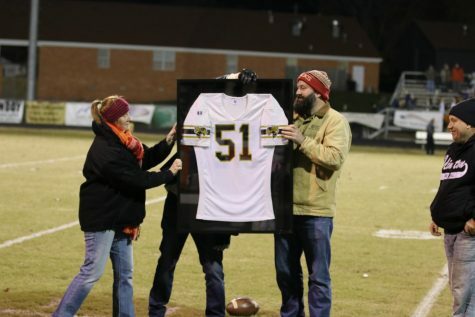 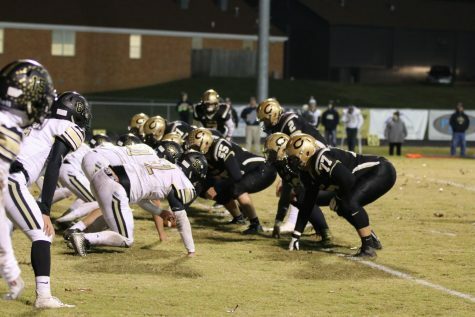 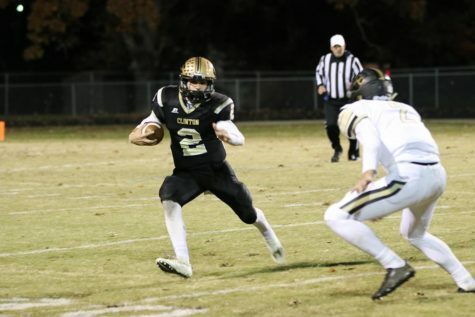 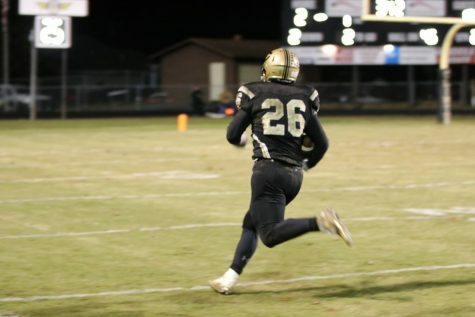 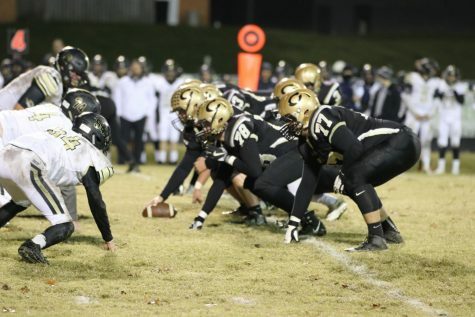 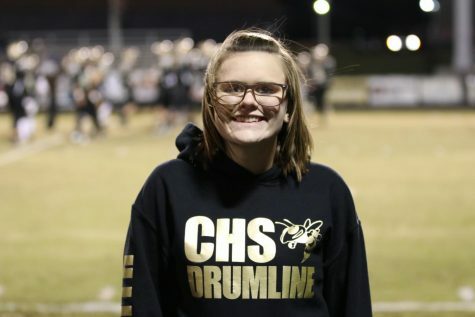 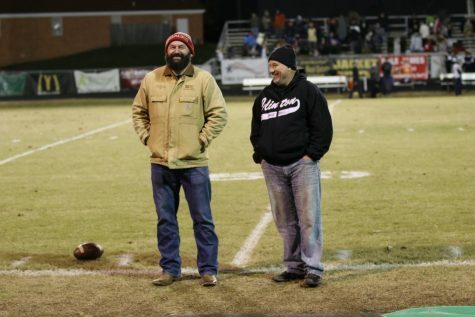 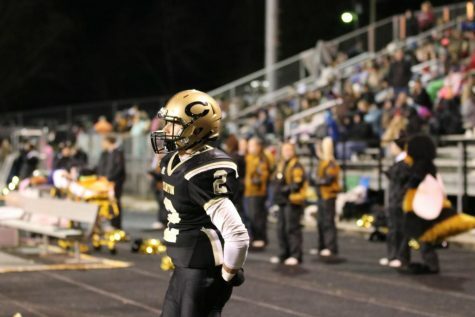 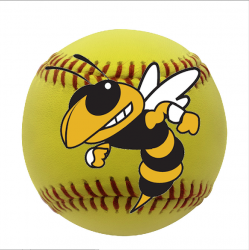 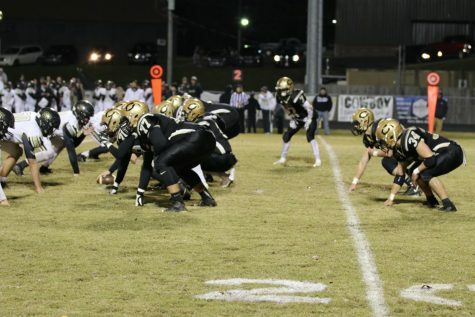 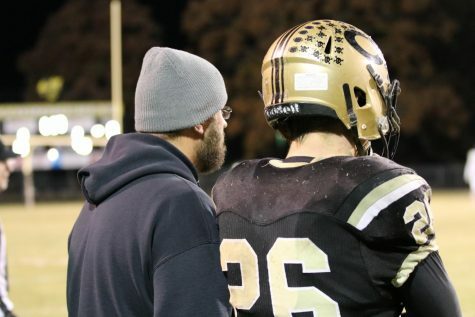 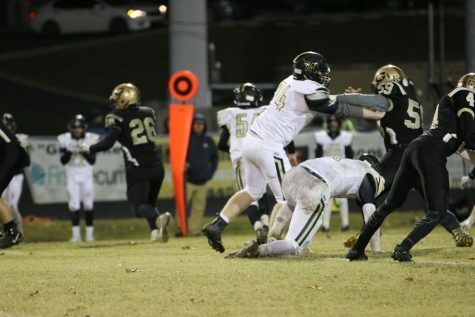 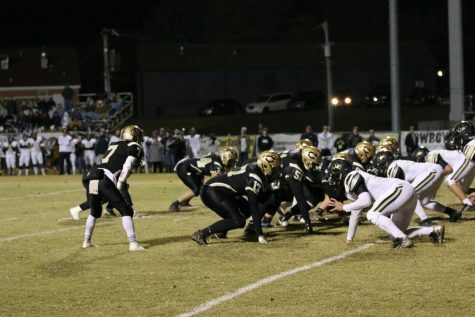 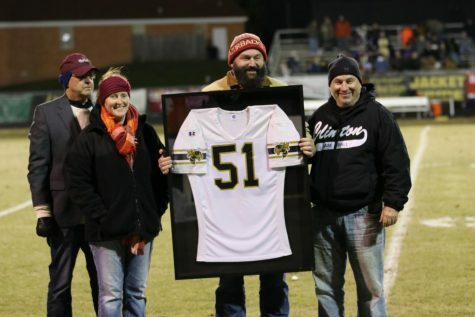 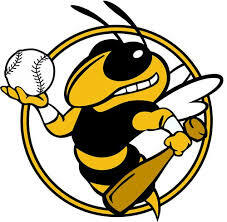 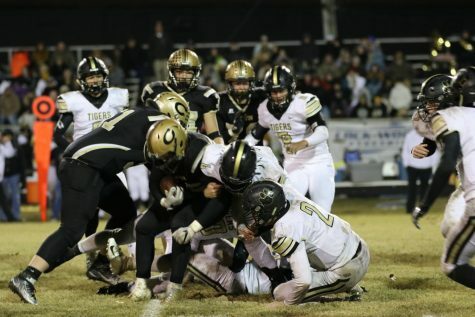 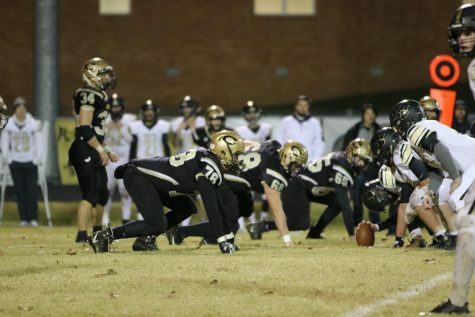 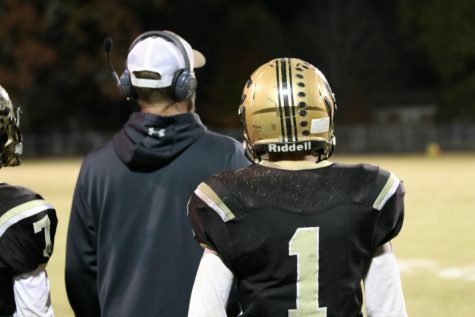 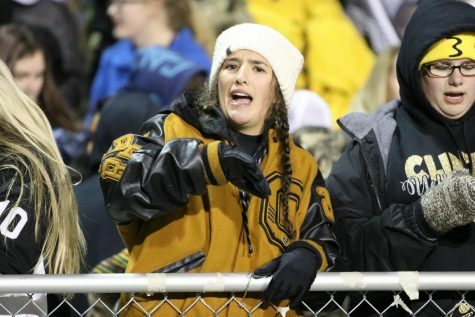 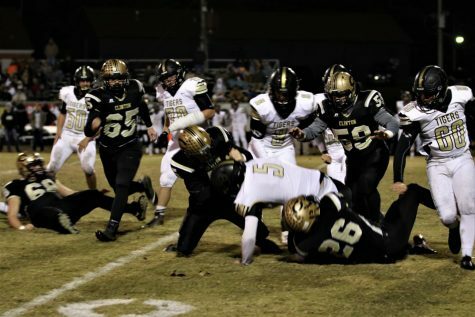 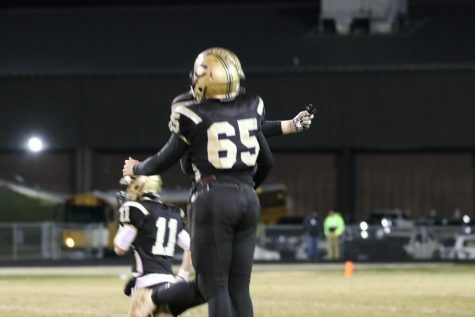 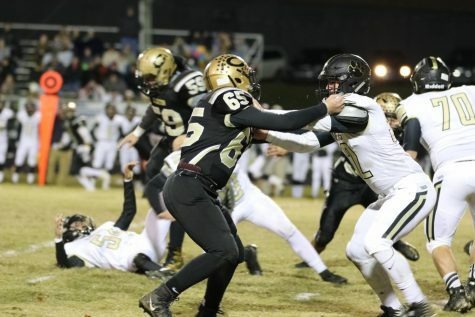 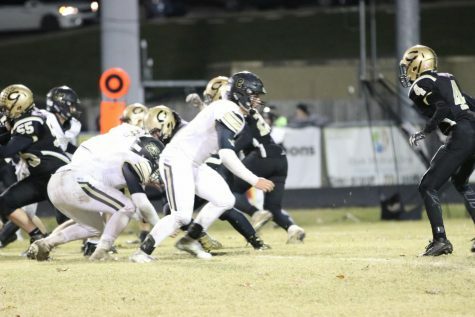 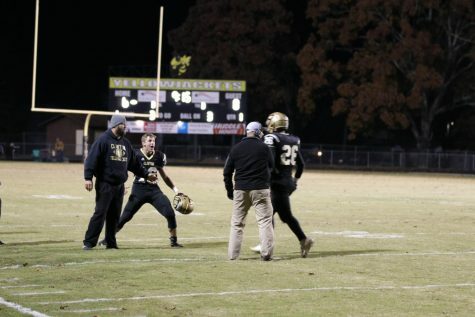 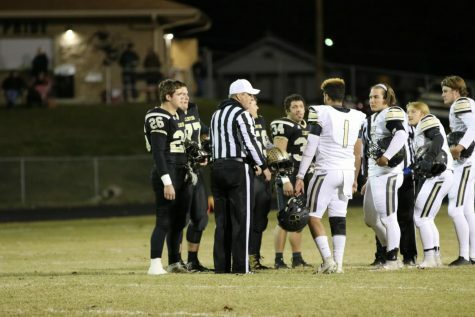 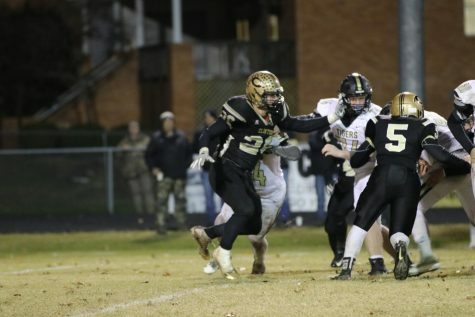 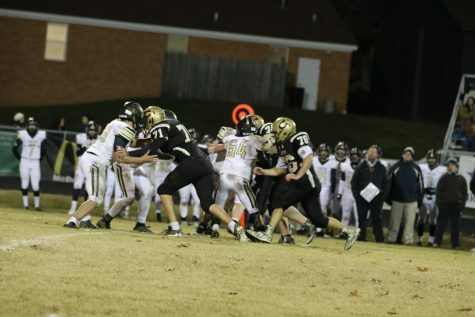 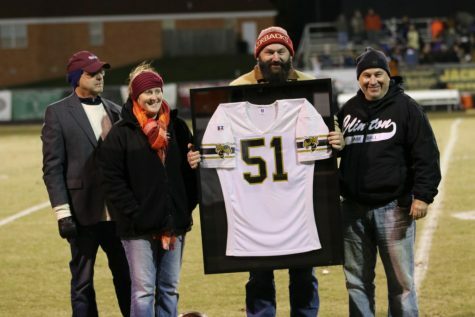 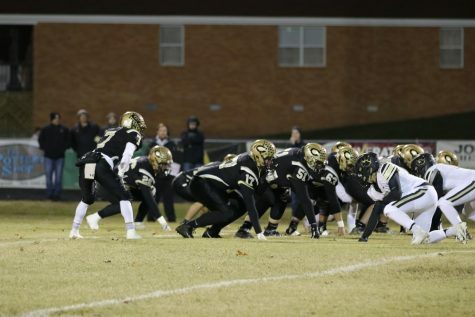 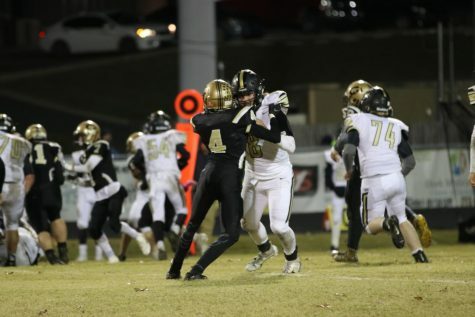 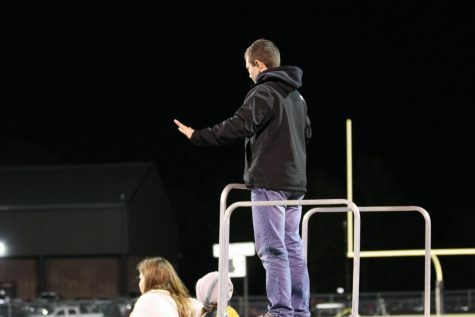 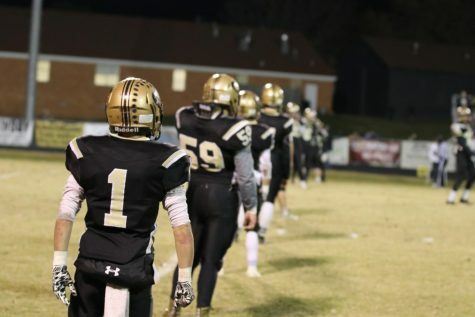 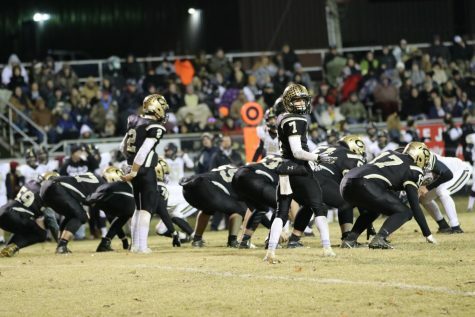 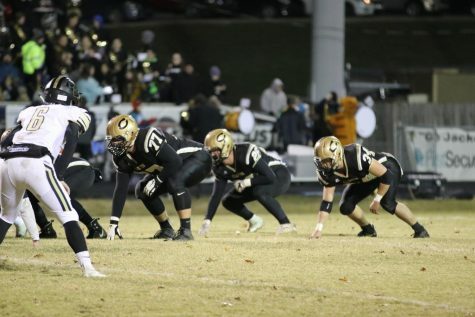 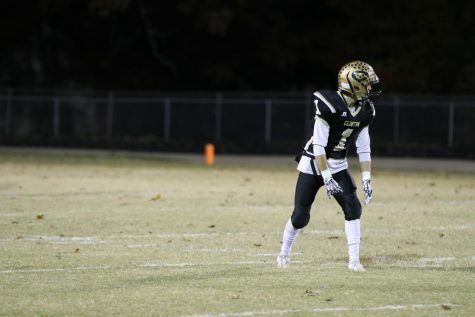 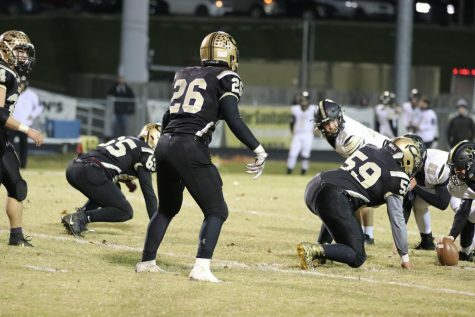 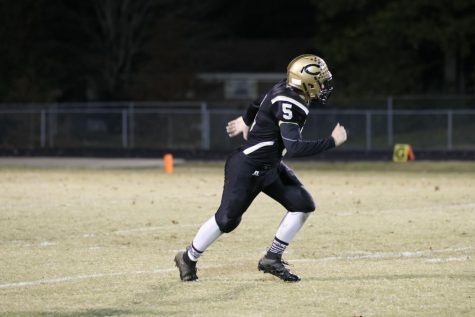 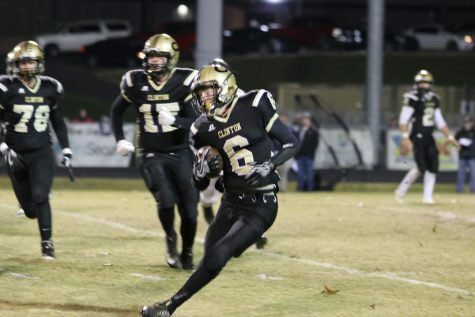 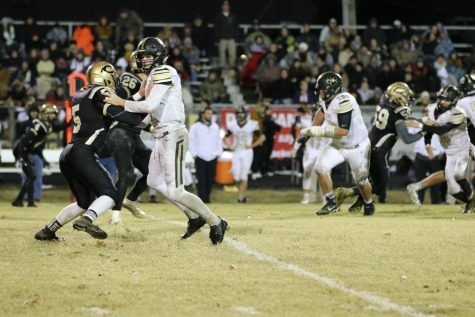 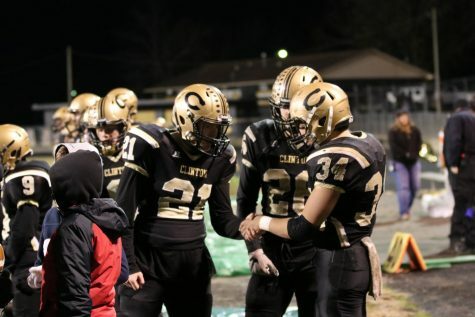 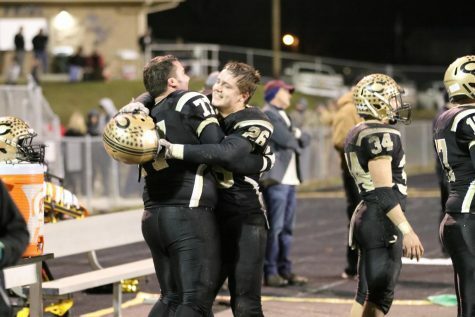 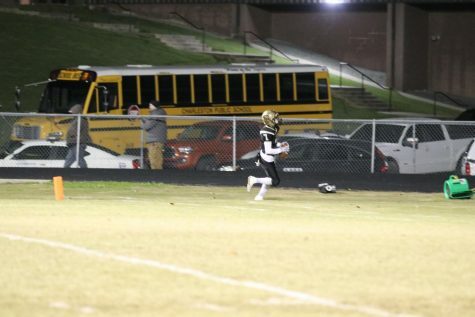 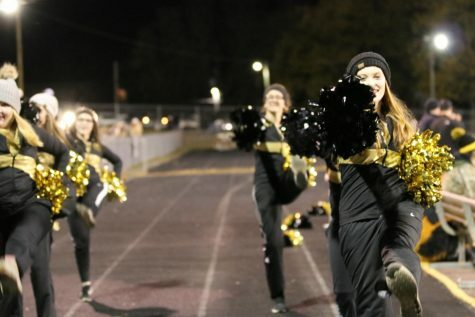 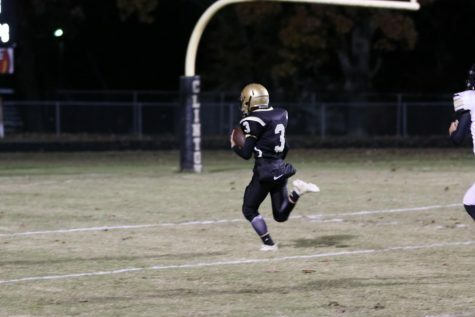 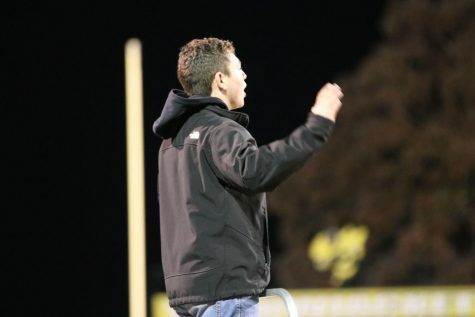 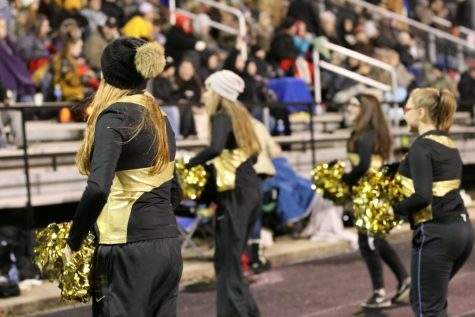 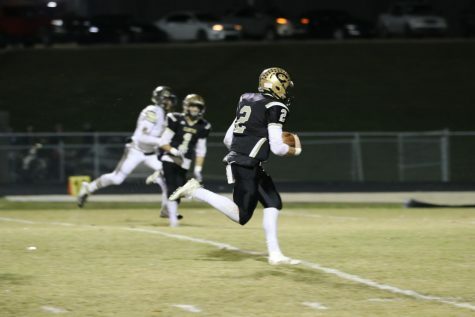 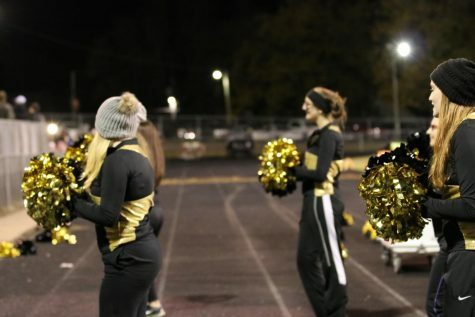 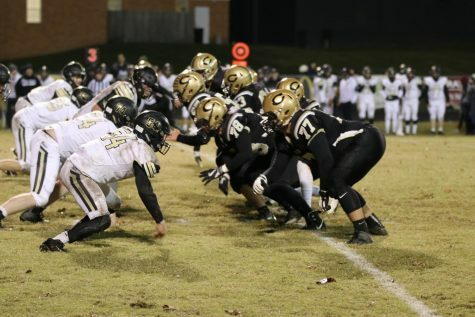 The Jackets finally let Amos loose, Amos who has been in cruise control all season, put the hammer down Friday night, and ran all over the 3A power house Charleston Tigers. 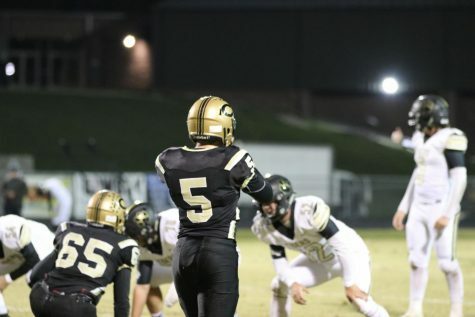 The Junior QB carried the ball 7 times for 163 yards and 2 touchdowns to go along with 99 passing yards and 1 touchdown on 5 of 8 passing. 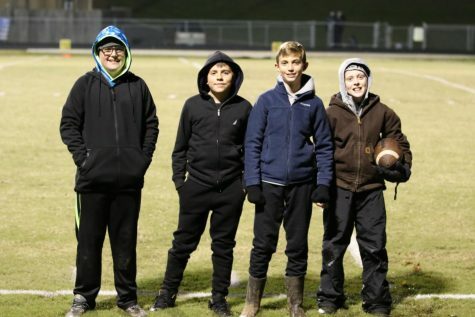 Caleb Bowman (rushing 2), Sky Davidson (rushing), Nick Epley (rushing), Austin Drake (receiving), and Weston Amos (2 rushing, 1 passing) all scored Friday night. 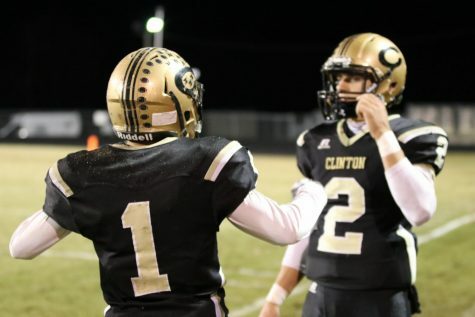 Clinton moves on to play the 2 seed Prescott this coming Friday. 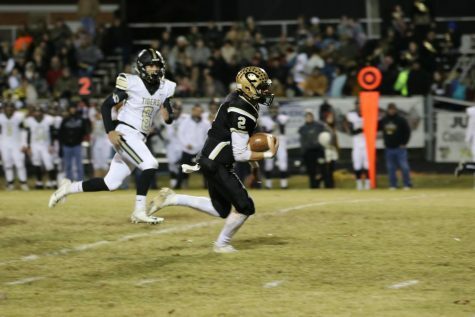 Prescott is favored by 3 points, but the game will be held at Jim Tumlison field. 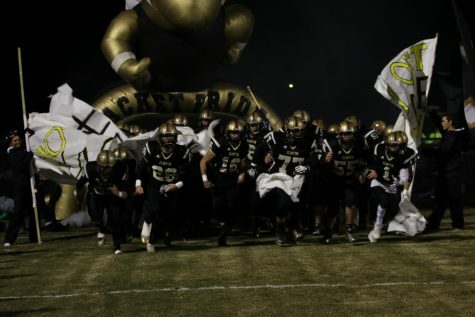 Kick off is set for 7 p.m.